The best lazy portfolio is the one that you maintain. In investing there’s no one right way to invest or manage your portfolio. In fact there are hundreds of different approaches, and probably more. Consider the active portfolio managers, they all have their own ideas about how to get the highest returns for their particular strategies. Then there are the hedge funds, clamoring to get alpha from creative investment strategies. Finally, the market timers think they will outsmart the indexes and know how to invest at the bottom and get out at the top. In most cases, your best lazy portfolio will outperform all those other fancy approaches. If you don’t believe me, then check out Mark Hulbert, William Bernstein, and scores of other well regarded investors and researchers. Hey, even Warren Buffett, one of the greatest investors of all time, believes in a lazy portfolio. For several decades I was an investment portfolio manager. During that time I researched individual stocks and bought and sold them for my company and our family investment portfolio. I was obsessed reading everything available, from Graham, Buffett, Bernstein, Lynch even William O’Neil. I subscribed to the American Association of Individual Investors (AAII), Morningstar, the Wall Street Journal, Value Line and more. My individual investing strategy was simple, digging into corporate and economic trends, comparing valuation, debt, profitability ratios and comparing with their historical averages. Buying and selling individual stocks was challenging and profitable. I was successful and content until……. I enrolled in the Penn State MBA program. On the first day of my investing portfolio management class the professor asked who could beat the market averages. Of course, my hand shot up. After all, most years, my stock picking, beat the S&P 500. 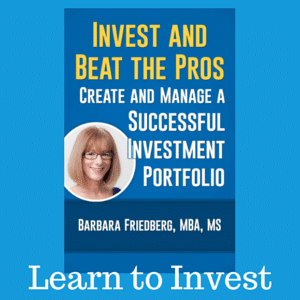 Then, while digging into the investing research, I found out that – over the long term – individual stock pickers rarely beat investing in a portfolio of diversified index funds. And even the stellar portfolio managers, rarely continued to beat the market over the long term. And, today, more so than ever, stock pickers are competing with sophisticated computerized algorithms that are smarter than most individual investors. My investing methodology was upended. At that point, I decided to transition from a stock picker to a ‘lazy portfolio‘ investing approach. Although to this day, I still hold a few individual stocks, the majority of our portfolio is invested in our best lazy portfolio of index mutual and exchange traded funds. 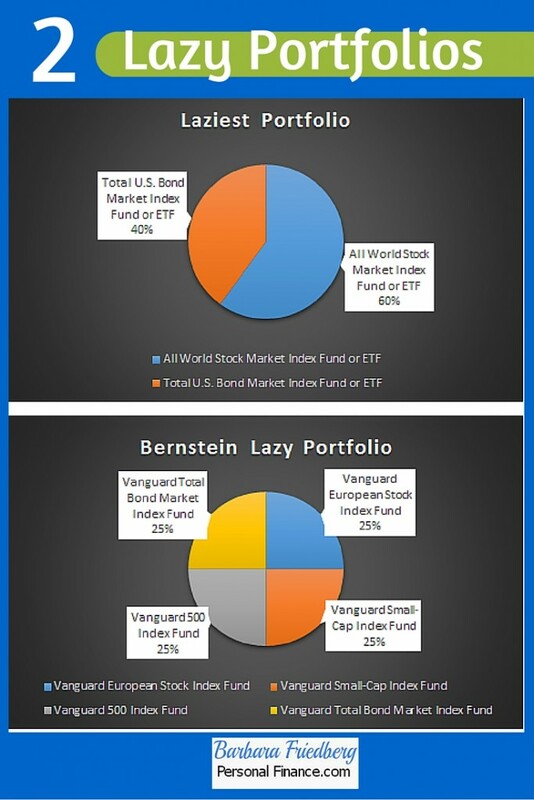 What is a Lazy Portfolio? 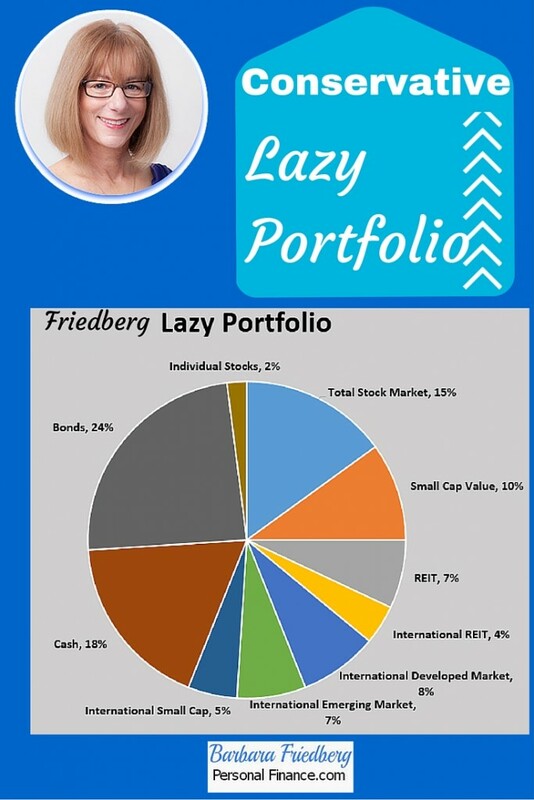 A lazy portfolio is a set it and forget it collection of stock and bond mutual funds or ETFs, invested in percentages that fit with your personal risk profile. The idea behind this concept is that most investors do not beat the investment returns of the major market indexes. And if an investor or fund beats the market one year, they’re unlikely to repeat that out-performance over the long term. 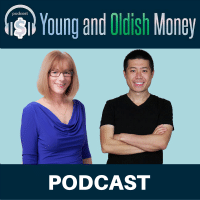 The recipe for market matching returns is to buy stock and bond funds in a certain percentage, and rebalance the investments to return to the preferred percentages each year. 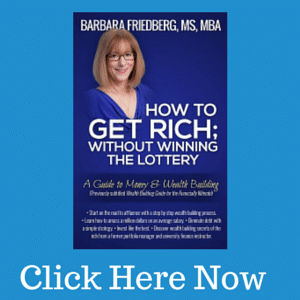 Interested in building long term wealth? Then click here and learn the smartest way to invest. If you’re ready to invest and want a few super-easy lazy portfolios, here are some ideas. This two fund lazy portfolio invests in one stock fund which covers the entire worlds stock markets and one bond index mutual funds. Depending upon your risk tolerance, you can choose the percent invested in each fund. The more conservative investors will lean towards higher allocations invested in the bond fund, while the more aggressive investors will boost the stock fund amount. This equally divided lazy portfolio limits the bond investments to 25% percent of the entire portfolio with the remaining 75% equally divided among a broad US stock market index fund, a European fund, and a U.S. index comprised of smaller companies. Bernstein’s portfolio is capitalizing on the research that smaller stocks may outperform the total U.S. stock market over the long term. We’re getting near retirement and have reached our ‘number’. We’re more concerned with capital preservation than appreciation. That’s why we have 42% of our investment assets allocated to the fixed category. The total stock market category allows us to participate in the U.S. market. The small cap value allocation capitalizes on the Fama and French research that suggests that over the long term, small cap and value stocks outperform the overall indexes. I expect the developing world to out perform the U.S. markets in overall growth eventually so we commit 7% to emerging markets. Real estate is an important category and may be less correlated with the stock markets. I also have a sentimental attachment to real estate due to my long history of working for a real estate holding company. What is the best lazy portfolio? There is no best portfolio for any investor. The best lazy portfolio is the one you set up in line with your risk tolerance and investing preferences. Since no one can predict the future, there are no guarantees about the future returns for any future specific investment allocation. Set up your investment allocation, rebalance every year, then sit back and go about living your life. It’s likely your investments will do just fine over the long-term. And, remember to understand basic investing concepts as you continue your journey. Click here for a guide to setting up your own lazy portfolio, with lots of examples. You’ll be surprised at how easy it is! This was your best and most informative newsletter ever. Thanks for sharing this with me. Thank you for this common sense approach to investments. It is often the one thing that people get wrong in their first attempt. Your sound approach may save some people from getting a bad start. Thank you for writing in. Investing isn’t rocket science. As long as historical trends continue, then a long term, passive, index fund investment approach will work well for most investors. Your lazy portfolio looks great. I was wondering what you would say about adding a bit of cryptocurrency to this? Let me explain. I’m only saying invest around 3% of your total, monthly income into 20-40 different altcoins (so the risk is diversified and you have a bigger chance of getting some good ones that end up having a great ROI) and then waiting for 3-5 years or more. You won’t follow the market daily (maybe monthly) because that would drive you insane and just play the waiting game. What do you think, Barbara? Darius, I am not a fan of cryptocurrency because it is so speculative and volatile. If you want to take a flyer, go ahead. Just realize that cryptocurrency is very speculative and be willing to lose all or part of your investment. Great post, Barbara. So many investors don’t understand the evidence around small cap and value. Your portfolio reflects that. So much of the FIRE community thinks the three fund Vanguard approach is the portfolio of all portfolios. My concern, which I’ve expressed many times, is they have no idea what it’s like to go through a serious negative market event. They haven’t done enough research to understand the premiums available. Nor do they understand the role of bonds in a portfolio. I fear this arrogance will cost them when the next market crash comes. And it always does. Hi Fred, Having been through the market crashes of 1987 Black Money, 1997 Asian contagion, 2000 dot com bust, and 2008 mortgage meltdown I appreciate the role of bonds, cash and a long term perspective. Also, as a student of market history, small cap and value have overperformed historically. That said, no one knows what the future will hold. That’s why I believe in a conservative approach. These last 10 years are an anomaly! Thanks for weighing in. I appreciate your thoughts, and not only because they’re in line with my own :). A lazy portfolio is also the route I have chosen. After years of chasing returns and sector funds, I have realized that it is just too much work to always worry if you are over or underperforming the market. I have converted to a three fund portfolio in all my accounts and I’ve never been more at ease. Thanks for the great read. Hi Shawn, After I studied the research that supports index fund investing over active investment management, my mind was made up. If professional managers only beat the indices 20-30% of the time (and the winning managers don’t persist), why should I waste my time trying to outperform? What 3 funds are you invested in? What’s your asset allocation?